Right from the start it’s easy to see that Paducah, Kentucky is a creative and historic place. The technicolor "Wall to Wall" Murals along the riverfront weave the story of Paducah’s nautical and Native-American heritage. Move through town and you’ll see classic turn-of-the-century architecture mixed with modern hand-painted tile facades, and long out-of-service factories reborn as hip mixed-use centers for gastronomy, shopping and art. As one of only nine UNESCO Creative Cities in America, Paducah is an ideal destination if you crave rich cultural experiences. The city is also a good choice for people who like to stay active outdoors while on the road. 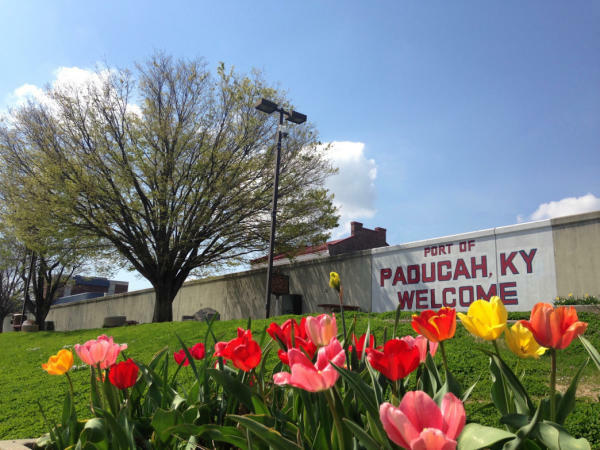 Hugging the western edge of Kentucky, Paducah is located at the confluence of the Ohio and Tennessee rivers in a lush outdoor environment. More than a prime locale for watersports, the city’s trails and greenways provide safe and easily accessible places to walk, run, bike, and hike. To help you plan a well-balanced vacation that blends culture and outdoor recreation, we’ve put together a list of active pursuits in Paducah. Kentucky has more miles of navigable water than any other state in the contiguous United States, making just about any area a good place for water sports, and Paducah is no exception. Situated at the confluence of the Ohio and Tennessee Rivers in the Four Rivers Region of Kentucky, Paducah gives you access to a wide variety of adventures on the water. Spending a day or two or more here boating or fishing has been made easy with the Ohio River Boat Launch and the addition of the new City of Paducah Transient Boat Dock. Mooring is available at the boat dock to all transient boaters and their guests, plus there are fuel services and nine electrical and water mooring pedestals. Give stand-up paddleboarding (SUP) a try with rentals available from Hooper’s OutdoorCenter just a couple of blocks from the riverfront, or kayak down the 16-mile stretch known as "Clarks River East Fork to Mouth of Clarks River," an easy and serene flatwater trip through an area rich with wildlife. For a unique paddling experience, gather a team and sign up for the annual Dragon Boat Festival sponsored by the River Discovery Center in September. Dragon boat racing is an ancient Chinese sport where participants paddle long, low boats painted like dragons. Southeast of Paducah, you’ll find more ideal areas for watersports on Kentucky Lake and Lake Barkley, which form one of the largest freshwater recreation areas in the country. 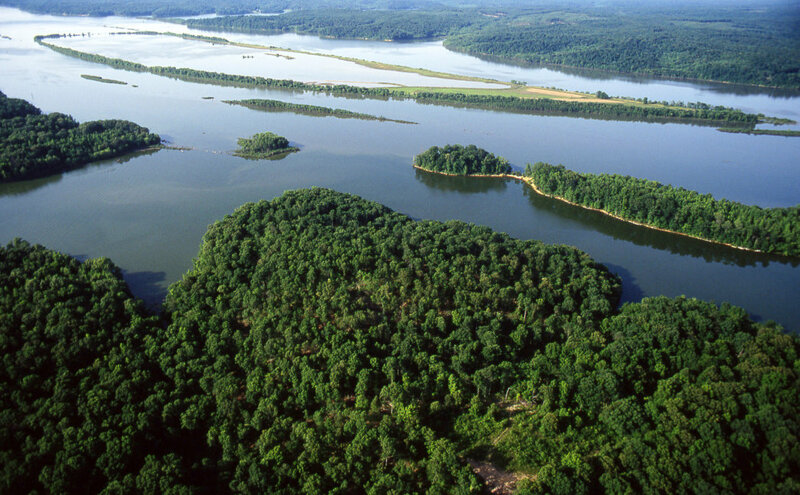 Covering more than 160,000 acres, Kentucky Lake is the largest artificial lake east of the Mississippi River and boasts more than 2,000 miles of shoreline. To the east, on the opposite side of the Land Between the Lakes Recreation Area, Lake Barkley spans 58,000 acres. These two waterways accommodate all types of boaters, from casual day-trippers to families looking to rent kayaks for an hour to those seeking a speed boat or party barge. At both lakes there are several marinas where you can rent all types of watercraft. For cycling enthusiasts who prefer to do their exploring on two wheels, it’s easy to rent a bicycle for the day or weekend. As with many forward-thinking cities, Paducah continues to expand a lovely Greenway Trail that covers 4.6 miles connecting Historic Downtown to Bob Noble Park and the 18-hole disc golf course at Stuart Nelson Park. It’s perfect for a family bike ride or an early morning walk or run, and rental bikes are available at either BikeWorld or Hooper’s Outdoor Center. From the Greenway Trail you can take a great side trip to the Noble Park pump track where riders use body movements, rather than just their pedals, to propel their bikes through banked turns and other terrain features. 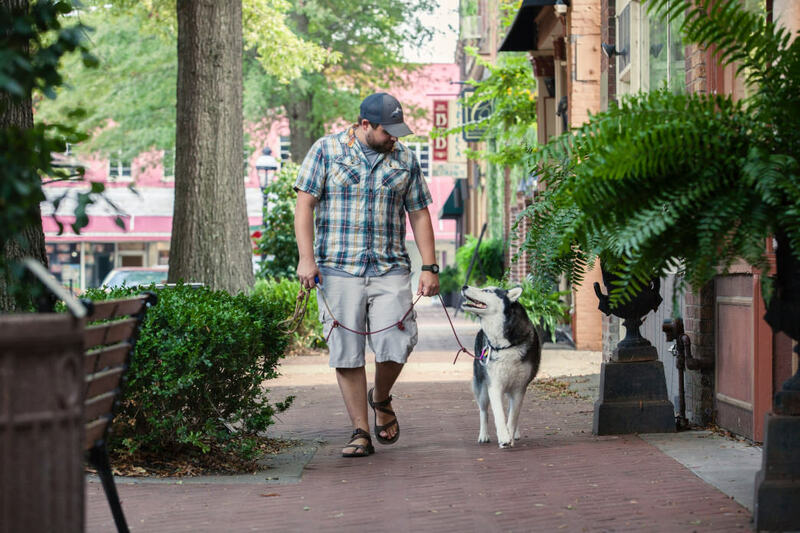 In the spring, the fragrant Dogwood Trail bursts with blossoms, and BikeWorld presents the annual Dogwood Trail Bike Ride, a scenic 11-mile cycling tour that meanders through downtown, the Lower Town Arts District and residential neighborhoods. This is just one of several tours and cycling events throughout the year, including the Moonlight Ride, Misaligned Minds Bicycle Tour and weekly group rides with the Chain Reaction Cycling Club. 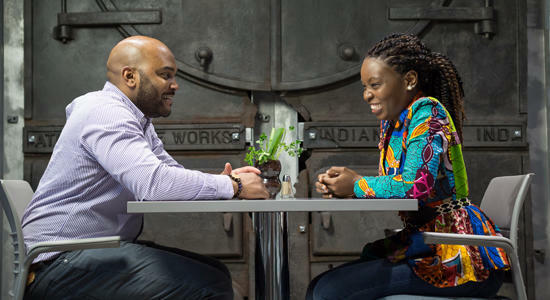 Often the best way to get a feel for the atmosphere of a new place is to take a leisurely walk and soak up the vibe. Paducah makes it fun and easy to explore the rich history of the town with an easy-to-use cell phone walking tour. The 2-mile path touches on noteworthy sights downtown, including historic buildings and significant architecture. Make sure to leave enough time for stop number 3, the riverfront, to study the iconic flood wall murals and surrounding landmarks. Walkers won’t want to miss the various delights of Bob Noble Park either. You’ll feel like a character from a Victorian novel as you pass beneath the impressive stone gate and then stroll around the lake. Check out the famous "Duck House," and then drop a fishing line in from the bridge. Don’t be surprised if you have to dodge a frisbee or two, or better yet, bring one along and join in. Chirping birds and croaking frogs will provide the soundtrack for early risers on a walk around the Clarks River National Wildlife Refuge. Roughly 3 miles of trail provide opportunities for photographers and birders to spot some of the 200 species of songbirds that frequent the refuge. The refuge also includes a fishing pond and is open from dawn to dusk, seven days a week. To further investigate the area’s wildlife population, take a trip to the environmental education and recreation area located off Highway 408, east of Benton. An easy 30-minute drive from Paducah is the beloved Land Between the Lakes National Recreation Area, which has more than 261 miles of trails in the park. Ranging from fully accessible flat paved paths to rugged hilly treks for either day trips or overnight jaunts, there is sure to be a trail that appeals to you. To get started, try the Honker Lake Trail, an easy loop trail that circumnavigates Honker Lake near Kuttawa. On the Central Hardwoods Scenic Trail you’ll find 11 miles of trails designed with families in mind. The wide, groomed double-track provides an easy, stress-free hike or even a family bike ride. One of the most popular trails on the north end is the Canal Loop Trail. It has spectacular lake views and includes a series of connecting trails, so you could do hikes ranging from 1.5 miles to 14 miles. If you travel about 20 miles north of Paducah you’ll reach the lush Shawnee National Forest in southern Illinois. It offers many miles of diverse hiking and backpacking trails and includes the 160-mile River to River Trail. One of several state parks in the Shawnee hills is Dixon Springs where you’ll find the hidden gem of Ghost Dance Canyon. Stretching a little less than 2 miles, this lightly trafficked out-and-back trail offers a great chance to see some wildlife and do a little birding. A bit further east in Shawnee is the Mantle Rock Trail located near Smithland, Kentucky. This nice 2.6-mile loop features a cool natural arch, caves, a pretty creek, and it’s part of the original Trail of Tears, adding historical interest. With a distinctive natural landscape, emerging culinary scene and a healthy calendar of festivals and events, it’s easy to see why Paducah is rapidly becoming a prime getaway destination. Begin exploring Paducah today and discover a destination where creative culture enhances outdoor adventure!